Civil Appeals Nos. 239 to 241 of 2011, decided on 7th October, 2011. —-Ss. 35(1)(2) proviso & 36(1) proviso—Status of employees—Terms and conditions of service—Appellant was employed in service by Federal Government in Telephone and Telegraph Department, which Department was converted into Pakistan Telecommunication Corporation and ultimately became Pakistan Telecommunication Company Limited (PTCL)—Grievance of appellant, was that High Court declined to implement judgment passed by Service Tribunal in his favour, on the ground that he was employee of Pakistan Telecommunication Company Limited and his service was not governed by statutory rules—Plea raised by employer company was that Federal Government had guaranteed existing terms and conditions of service and rights including pensionary benefits of employees who stood transferred from the Corporation to the company—Validity—At the moment of transition when appellant ceased to remain the employee of the Corporation and became employee of the Company, he admittedly was governed by rules and regulations which had been protected by Pakistan Telecommunication (Reorganization) Act, 1996, therefore, said rules by definition were statutory rules—Corporation could make beneficial rules in relation to its employees which were in addition to the rules of employment prevailing on 1-1-1996, however by virtue of proviso to S.35(2) of Pakistan Telecommunication (Reorganization) Act, 1996, the company had no power to “vary the terms and conditions of service” of its employees who were previously employees of the Corporation, “to their disadvantage”—Even Federal Government was debarred by virtue of S.35 of Pakistan Telecommunication (Reorganization) Act, 1996, from varying such terms and conditions of service to the disadvantage of appellant—Guarantee did not change the nature or status of the company as the principal object required under the law was to adhere to protected terms and conditions of service of transferred employees such as the appellant—Only effect of guarantee was to ensure that in the event the company would become incapable of fulfilling its obligations as to pensionary or other benefits, for reasons such as bankruptcy etc., the employees did not suffer from such event of default—Distinction was drawn between the employees who stood transferred to the company by virtue of S.35 of Pakistan Telecommunication (Reorganization) Act, 1996, and Vesting Order, on one hand and those employees who joined the company after 1-1-1996—Protection under Federal Government guarantee was not available to latter category whose terms and conditions of service could be contractual in nature and would, therefore, be non-statutory—Appellant was entitled to implementation of judgment of Service Tribunal, therefore, Supreme Court set aside the judgment passed by High Court and remaded the matter for implementation of the judgment—Appeal was allowed. Pakistan International Airlines Corporation and others v. Tanweer-ur-Rehman and others PLD 2010 SC 676; Raziuddin v. Chairman, PIAC PLD 1992 SC 531; Muhammad Mubeen-us-Salam and others v. Federation of Pakistan PLD 2006 SC 602; Ejaz Ali Bughti v. P.T.C.L. and others 2011 SCMR 333 = 2010 PLC (C.S.) 899 and Muhammad Idrees v. Agricultural Development Bank of Pakistan PLD 2007 SC 681 ref. Abdur Rahim Bhatti, Advocate Supreme Court along with Raja Abdul Ghafoor, Advocate-on-Record for Appellants (in C.A. No.241 of 2011). Date of hearing: 11th August, 2011. JAWWAD S. KHAWAJA, J.—These appeals have been filed by three individual appellants who admittedly were civil servants employed by the Federation in the Telephone and Telegraph (‘T&T’) Department prior to the enactment of the Pakistan Telecommunication Corporation Act, 1991 (the ‘PTC Act’). To provide context to the discussion which follows, the backdrop of this litigation may briefly be stated. Nasir Uddin Ghori, the appellant in C.A. 241 of 2011 had earlier obtained a judgment from the Service Tribunal dated 28-5-2004 which held that he “will be deemed to have been promoted as ADE (B-17) with effect from the date of qualifying degree of B-Tech (Hons)”. The seniority list of the ADE cadre was also directed by the Tribunal, to be corrected accordingly. Since this judgment was not implemented by the respondent namely, Pakistan Telecommunication Company Limited (‘PTCL’), Mr. Ghori approached the High Court seeking implementation of the same but his Constitutional Petition No.D-827 of 2007 has been dismissed by a learned Division Bench of the Sindh High Court vide impugned judgment dated 3-6-2010. 2. The other two appellants namely, Masood Ahmed Bhatti (C.A. 239 of 2011) and Syed Muhammad Dilavez (C.A. 240 of 2011) had different grievances against PTCL relating, inter alia, to pensionary benefits, promotion and a voluntary separation scheme. They had approached the Sindh High Court through Constitutional Petitions Nos.D-520 of 2009 and D-2414 of 2007. These two petitions have also been dismissed by the Sindh High Court through the same common judgment dated 3-6-2010 which has been impugned by Mr. Ghori. 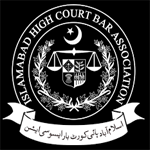 The appellants have been non-suited by a learned Division Bench of the High Court on the short ground that their employment with PTCL is not governed by statutory rules and therefore, they are not entitled to invoke the jurisdiction of the High Court under Article 199 of the Constitution. For reasons considered below and with great respect to the learned Judges, it has not been possible for us to agree with their conclusion. 3. The learned Bench, through an elaborate judgment has concluded that PTCL “is and shall continue to be amenable to the jurisdiction of [the Sindh High] Court under Article 199 of the Constitution”. However, it has been held that “since PTCL does not have statutory rules, writ petitions of employees of PTCL are liable to be dismissed”. The merits of the individual cases set up by the three appellants have not been considered or adjudicated upon by the High Court. The Court has founded its decision on the case of Pakistan International Airlines Corporation and others v. Tanweer¬-ur-Rehman and others (PLD 2010 SC 676). 4. From the foregoing narrative, it will be evident that the controversy between the appellants and PTCL which is now before us has been narrowed down considerably. PTCL supports the impugned judgment for the reason given therein by the High Court. The appellants on the other hand have challenged the finding of the Court by contending that the rules relating to the terms and conditions of employment of the appellants have statutory force and are, therefore, statutory rules. It has thus been contended by them that the ratio of the cited precedent has been misapplied. 5. Since the judgment of the High Court is based on the case of Tanweer-ur-Rehman supra, it firstly is to be seen if indeed the principle of law enunciated therein supports the conclusion in the impugned judgment. Para 18 of the cited precedent is of particular relevance in this context. It sets out the circumstances which led to the Court’s finding that the regulations which were under consideration in the said case could not be treated as being statutory in nature. The test laid down for deciding if the regulations were in fact statutory, was stated with great clarity. These regulations had been framed by the Board of Directors of the Pakistan International Airlines Corporation (‘PIAC’) under the PIAC Act 1956. 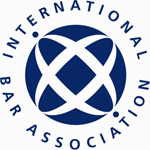 It was observed by the Court that “if the relationship between the [PIAC] and its employees is regulated by statutory provisions and if there is any breach of such provisions, an employee … may maintain an action for reinstatement”. It was further observed that “the PIAC has regulations which have been framed by the Board of Directors of the PIAC, pursuant to the power contained in section 30 of the [PIAC] Act; however, there is nothing on record to indicate that these regulations have been framed with the previous sanction of the Central Government or that they were gazetted and laid before the National Assembly in terms of section 31 of the [PIAC] Act”. This finding of the apex Court was, in turn, based on the case titled Raziuddin v. Chairman, PIAC (PLD 1992 SC 531). In short, the reason for holding that the regulations in question were not statutory was that the requirements of sections 30 and 31 of the PIAC Act had not been complied with. 6. The observations in the case of Tanweer-ur-Rehman supra have necessitated an examination of sections 30 and 31 of the PIAC Act to see if these provisions have any parallel or relevance in the present appeals. It is quite clear from the PIAC Act that in order for the regulations to have statutory force, it was necessary that the same be framed “with the previous sanction of the Central Government”. Additionally, under section 31 of the PIAC Act, the regulations were required to be gazetted and laid before the National Assembly. It is only because these contentious regulations had not been framed with the previous sanction of the Central Government and had not been published in the official Gazettee, that the Court came to the conclusion the regulations were not statutory in nature. 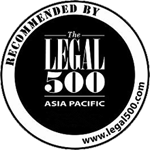 It follows from the cited judgment that if in fact the regulations had fulfilled the requirements of sections 30 and 31 of the PIAC Act, there would have been no dispute or contention as to the statutory status of the said regulations. The circumstances of the present appeals (considered below) are very different from the facts in Tanweer-ur-Rehman’s case. 7. The learned Division Bench of the Sindh High Court which passed the impugned judgment has not considered the relevant provisions in the PTC Act and the Reorganization Act relating to the service of employees. This exercise, in our view, was necessary for deciding the question as to whether the rules of employment applicable to the three appellants had statutory status and also to see if Tanweer-ur¬-Rehman’s case was distinguishable. It is, as noted above, not in dispute that prior to the establishment of the Pakistan Telecommunication Corporation (the ‘Corporation’) under the PTC Act in 1991, the appellants were civil servants. It is also not a matter in contention that at that time (prior to 1991) the appellants were governed by the various rules and regulations governing the services of civil servants. The Civil Servants (Efficiency and Discipline) Rules, 1973 and the Civil Servants (Appointment, Promotion and Transfer) Rules, 1973 provide instances of rules which, among others were applicable to the relationship between the appellants and their employer namely, the Federal Government. Such rules undeniably, were statutory, having been framed under rule-making powers granted to the Federal Government, inter alia, under the Civil Servants Act, 1973. 8. In 1991, the PTC Act was legislated by Parliament. It was by virtue of section 3 of the PTC Act that the Corporation was established. The PTC Act also contained provisions in respect of the employees of the T&T Department such as the present appellants. These employees were referred to as ‘Departmental Employees’ as defined in section 2(e) of the PTC Act. Section 9 of the PTC Act expressly stipulated that “notwithstanding anything contained in any law, contract or agreement, or in the conditions of service, all departmental employees shall, on the establishment of the Corporation, stand transferred to, and become employees of the Corporation, on the same terms and conditions to which they were entitled immediately before such transfer”. The Corporation, however, was authorized to take disciplinary action against such employees. 9. It is clear from this legal provision, that the rules relating to the terms and conditions of employment of the appellants were given statutory status. This status was on a higher plane than the status of regulations framed by way of subordinate legislation under section 20 of the PTC Act. Consequently, whatever rules were in place governing the employment of the appellants in the T&T Department, were adopted by reference in the statute itself and were made applicable to and binding on the Corporation. There can be little doubt that by virtue of section 9, ibid such rules acquired statutory status having been sanctified by the PTC Act itself. 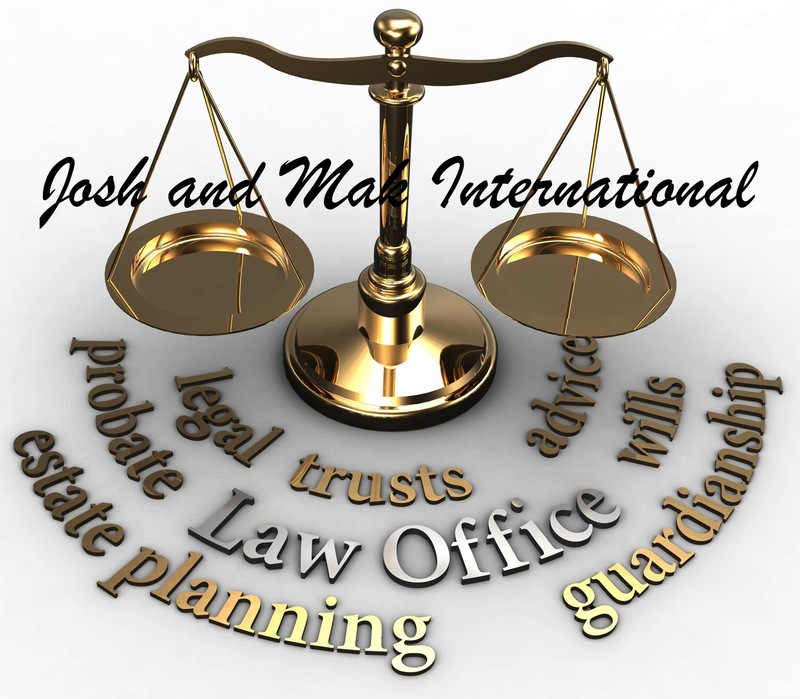 We can, therefore, conclude without difficulty that the rules of employment which were applicable to the appellants during their service with the Corporation were statutory rules. 10. Thereafter in 1995 and 1996, after a series of Ordinances, the Pakistan Telecommunication Corporation (Reorganization) Act, 1996 (the “Reorganization Act”) was passed. These statutes split up the Corporation into five distinct entities. The biggest of these five entities in terms of assets and employees was PTCL. It may be noted, at this stage, that PTCL was incorporated as a limited liability company under the Companies Ordinance, 1984 as per mandate in section 34 of the Re-organization Act. The other four entities were crated by the Reorganization Act itself. These were first, the Pakistan Telecommunication Authority (the ‘Authority’) under section 3, second, the Pakistan Telecommunication Employees Trust (the ‘Trust’) under section 44, third the National Telecommunication Corporation (the ‘NTC’) under section 41 and fourth, the Frequency Allocation Board (the ‘Board’) under section 42 of the Reorganization Act. As the title and other provisions of the Reorganization Act indicate, its object was to ‘reorganize’ the Corporation. This law was also meant to ensure the transition of the Corporation and its affairs to the five entities referred to above and to provide statutory cover for such transition. 11. We have already observed that between 1991 and 1996 when the Corporation was in existence, the rules of employment applicable to the appellants were statutory rules having been given such status by virtue of section 9 of the PTC Act. What now needs to be seen is the effect of the Reorganization Act on the rules of employment applicable to the appellants and to determine if such rules underwent any change so as to relegate their status to that of non-statutory rules. 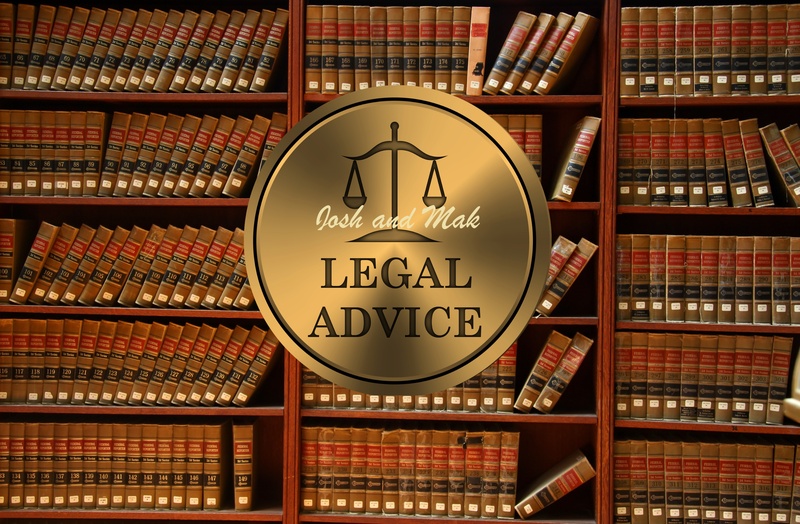 However, before making this determination it is necessary to take note of certain provisions of the Reorganization Act which have relevance to the issue at hand. The first such provision relates to “Telecommunication Employees”. This term has been defined in section 2(t) of the Reorganization Act. It means such employees “of the Corporation who are transferred to the employment of the Company under this Act, other than those to whom subsection (3) of section 36 applies”. Section 36(3) relates only to those persons who were employees of the Corporation but subsequent to be Reorganization Act have been transferred to or employed by the Authority, the NTC, the Trust or the Board. Since the present appellants were neither transferred to nor employed by any of these four entities, section 36(3) has no application to them. and become the property, rights and liabilities of the respective entity. Provided that such order shall not vary the terms and conditions of service of such employees to their disadvantage. (the underlining is ours). Islamabad, the 7th February, 1996. (2) all employees of the Pakistan Telecommunication Corporation, after the transfer of the employees to the Pakistan Telecommunication Authority, National Telecommunication Corporation and Frequency Allocation Board of the Federal Government, on the 31st of December, 1995, stood transferred to and has [sic] become the employees of the Pakistan Telecommunication Company Limited with effect from the 1st January, 1996″. It is evident from the above extract that all properties, rights and liabilities of the Corporation were vested in PTCL with effect from 1-1-1996 except for those transferred to the remaining four entities. Likewise, all employees of the Corporation other than those transferred to the other four entities referred to above, stood transferred and became employees of PTCL with effect from 1-1-1996 by virtue of the Vesting Order. 14. We may now consider the effect of this transfer of the appellants to PTCL along with the assets and liabilities of the Corporation and the implications of such transfer on the nature of the rules of employment applicable to the appellants from the date (i.e. 1-1-1996) they became employees of PTCL. The proviso to section 35(2) of the Reorganization Act provides a clear answer to this controversy. It specifies that even after the transfer of the appellants to PTCL their terms and conditions of service which existed on 1-1-1996, would be the base and bare minimum in matters of their employment with PTCL. These terms and conditions were imposed on PTCL by the Reorganization Act, as a legal obligation and the Vesting Order was issued by the Federal Government “in exercise of powers conferred by section 35” of the Reorganization Act. The Federal Government, it will be noted, had been granted limited powers only; the constraint on it was that the terms and conditions of service of employees of the Corporation could not be varied to their disadvantage. PTCL, as the recipient of the properties and rights of the Corporation, also assumed the liabilities of the Corporation. Such liabilities necessarily included the liabilities owed to the employees, arising from the terms and conditions of their service as these could not be varied to their disadvantage. 15. Thus it is evident that at the moment of transition when the appellants ceased to remain the employees of the Corporation and became the employees of PTCL, they admittedly were governed by rules and regulations which had been protected by the PTC Act. The said rules, therefore, by definition were statutory rules as has been discussed above. PTCL, no doubt, could make beneficial rules in relation to its employees which were in addition to the rules of employment prevailing on 1-1-1996. However, by virtue of the aforesaid proviso, PTCL had no power to “vary the terms and conditions of service” of its employees who were previously employees of the Corporation, “to their disadvantage”. Even the Federal Government was debarred by virtue of section 35 ibid, from varying such terms and conditions of service to the disadvantage of the appellants. 16. An easy and uncomplicated test becomes available to us to help determine the status of the employment rules governing the appellants. If the current employer of the appellants viz. PTCL is constrained by legislation such as section 35(2) of the Reorganization Act, and as a consequence, cannot vary the existing rules to the disadvantage of the appellants, because of such legislation, it must follow that such law has the effect of saving the rules which existed when the appellants became employees of PTCL. Such existing rules, having been protected by section 35(2), therefore, can only be categorized as statutory rules. 17. Section 36 of the Reorganization Act also has relevance in determining the controversy which arises in these appeals. Subsection (2) of section 36 gives protection to the terms and conditions of service of employees such as the appellants who stood transferred from the Corporation to PTCL on 1-1-1996. Their terms and conditions of service cannot be altered adversely by PTCL “except in accordance with the laws of Pakistan or with the consent of the transferred employees and the award of appropriate compensation”. When this legal provision is read together with section 35, it becomes abundantly clear that by operation of the Reorganization Act, the terms and conditions of service of the appellants as on 1-1-1996 stood conferred on them as vested rights under the said law. 18. Learned counsel for PTCL stressed certain provisions of section 36 of the Reorganization Act to contend that the employment rules applicable to the appellants could not be treated as statutory rules. In particular, he adverted to the proviso to section 36(1) ibid wherein it has been stipulated “that the Federal Government shall guarantee the existing terms and conditions of the service and rights including pensionary benefits” of employees who stood transferred from the Corporation to PTCL. It was submitted on behalf of PTCL that there would be no occasion or necessity for the Federal Government to provide a guarantee as aforesaid, if PTCL stood saddled with the liability of pensionary benefits and the terms and conditions of service of employees transferred to it. From this provision, learned counsel wanted us to infer by implication that PTCL was left free to deal with its employees regardless of any constraints specified in sections 35 and 36 of the Reorganization Act. This contention has no force. The guarantee does not change the nature or status of PTCL as the principal obligant required under law to adhere to the protected terms and conditions of service of transferred employees such as the appellants. The only effect of the guarantee is to ensure that in the event PTCL becomes incapable of fulfilling its obligations as to pensionary or other benefits, for reasons such as bankruptcy etc., the employees do not suffer from such event of default. It is important, at this point, to draw a distinction between employees who stood transferred to PTCL by virtue of section 35 ibid and the Vesting Order, on the one hand and those employees, who joined PTCL after 1-1-1996. The protection under the Federal Government guarantee would not be available to the latter category whose terms and conditions of service would be contractual in nature and would, therefore, be non-statutory. 19. Since the decision in the case of Muhammad Mubeen-us-Salam and others supra the employees of various government controlled organizations have found themselves faced with uncertainty as to the forum having jurisdiction to redress their employment related grievances. Such uncertainty, as in these appeals, arises on the basis of whether or not their terms and conditions of service are statutory. We may, however, venture to state that this uncertainty, in many cases, stems from a lack of in-depth analysis of precedent rather than confusion or lack of clarity in a previously decided case. The present appeals highlight the validity of this observation. It is likely the High Court did not receive adequate assistance at the Bar and, therefore, proceeded to rely on the case of Tanweer-ur-Rehman supra, to arrive at the conclusion that the terms and conditions of service governing the appellants, as a matter of law, were non-statutory. The High Court, we say with respect, fell in error as it did not consider the circumstances noted above or the principle of law enunciated by this Court in terms of Article 189 of the Constitution. The case of Tanweer-ur-Rehman, in fact, supports the plea of the appellants that the circumstance considered above ought to have been examined along with the merits of each Constitutional Petition because such examination was essential for the purpose of determining if the respective grievances of the three appellants were based on statutory rules. 20. The case of Tanweer-ur-Rehman supra provides guidance in respect of the consequences which would follow where statutory rules of service are violated by any employer. To this extent the said case does constitute precedent even in these cases. Thus, the High Court rightly relied on the observations made by this Court “that if any adverse action has been taken by the employer in violation of the statutory rules, only then such action should be amenable to writ jurisdiction”. The difficulty in this case has only arisen because the reasoning in the case of Tanweer-ur-Rehman in respect of regulations framed by the Board of Directors of PIAC has been applied in these cases even though the same is not attracted. 21. We can now consider the case titled Ejaz Ali Bughti v. P.T.C.L and others (2011 SCMR 333 = 2010 PLC (C.S.) 899). Great stress was placed on this judgment by the learned counsel representing PTCL who contended that it was authority for the proposition that the employees of PTCL were not governed by statutory rules of service. This submission, of course, is not correct as it is based on a cursory and superficial reading of the decision in the case. It will be noted from the concluding paragraph of the cited judgment that the conclusion therein was based on a concession made by learned counsel representing the petitioner Ejaz Ali Bughti. It was noted by the Court that he conceded that PTCL did not have statutory rules providing for the terms and conditions of service of employees. No argument was advanced in line with the above noted submissions made by learned counsel for the appellant Nasir Uddin Ghori which submissions were adopted by the other two appellants who were heard in person. It is well settled that a concession made by a party binds such party alone. It cannot preclude others such as the present appellants, to argue their case on its merits. 22. We can now take up the individual appeals for consideration in the light of the foregoing discussion. 23. Civil Appeal No.241 of 2011, titled Nasir Uddin Ghori v. Federation of Pakistan and others. 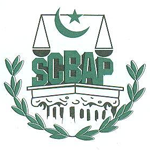 “Hafiz S.A. Rehman, learned Senior Advocate Supreme Court is present on behalf of appellants and does not press these appeals as, according to him, in view of the law laid down by this Court in case titled Muhammad Mubeen-us-Salam v. Federation of Pakistan (PLD 2006 SC 602) and Muhammad Idrees v. Agricultural Development Bank of Pakistan (PLD 2007 SC 681), these appeals stand abated. These appeals are accordingly dismissed being not pressed. 24. It is, therefore, clear from the above referred proceedings before the Service Tribunal and before this Court, that the judgment of the Service Tribunal dated 28-5-2004 had attained finality and had conclusively determined the rights and obligations of the parties inter se. It is only because the judgment of the Service Tribunal had not been implemented by PTCL that Mr. Ghori was compelled to file Constitution Petition No. D-827 of 2007 in the High Court. Among other reliefs the appellant had sought enforcement of the judgment of the Service Tribunal and had prayed for a declaration that the “respondent is under obligation to implement the same”. Learned counsel for the appellant submitted that the appellant now presses his right to the fruits of the judgment of the Service Tribunal dated 28-5-2004. The other reliefs mentioned in Constitution Petition No.827 of 2007 were not pressed by him. We are not in any doubt that for the reasons discussed above, the appellant Nasir Uddin Ghori was entitled to implementation of the judgment of the Service Tribunal dated 28-5-2004. This appeal (C.A. 241 of 2011) is, therefore, allowed. The judgment of the High Court in Constitutional Petition No.827 of 2007 is set aside and the respondent PTCL is directed to implement the aforesaid judgment of the Service Tribunal dated 28-5-2004 within thirty days from today. 25. Civil Appeal No.239 of 2011, titled Masood Ahmed Bhatti v. Federation of Pakistan and others. The appellant Masood Ahmed Bhatti had approached the High Court through Constitutional Petition No.D-520 of 2009. It was, inter alia, alleged by him that termination of his services w.e.f. 10-3-2008 was invalid and also that PTCL had unilaterally and without his concurrence imposed a Voluntary Separation Scheme on him. Since this aspect of the appellant’s case and the other merits of his Constitutional Petition were not discussed or adjudicated upon by the High Court, the impugned judgment to the extent it relates to the appellant, is set aside. The said petition shall be deemed pending before the High Court and shall be decided afresh in the light of this judgment. 26. Civil Appeal No.240 of 2011, titled Sved Muhammad Dilavez v. Federation of Pakistan and others. The appellant Syed Muhammad Dilavez had also sought relief from the High Court by filing Constitutional Petition No.D-2414 of 2007 along with others. The contents of the Constitutional Petition and the relief sought by Mr. Dilavez, prima facie, indicate that his grievance was against violation by PTCL of his legally protected terms and conditions of service. The appellant, who appeared before us in person, requested that his rights be determined by this Court because he had been in Court seeking redress since 2007. We are afraid this request cannot be acceded to because the merits of the appellant’s Constitutional Petition have, in the first instance, to be decided by the High Court after affording an opportunity of hearing to the appellant and to PTCL. Since the merits of the appellant’s Constitutional Petition were neither discussed nor adjudicated by the High Court, the impugned judgment to the extent it relates to the appellant, is set aside. The said petition shall be deemed pending before the High Court and shall be decided afresh in the light of this judgment.